In 2005, indie development studio Future Games released an adventure game called Nibiru: Age of Secrets. The game centered around the discovery of an old WW2 tunnel hidden under a highway. Archaeologists began excavating the tunnel and uncovered secrets relating to the Nazis and of the demise of the ancient Mayan civilization. As you can read in our prior entry on Lost Civilization, there are some similarities between these games’ stories. The reason is that Lost Civilization is actually a remake of Nibiru. Some games get remakes where the art is updated, or the code touched up to run better on newer machines, but Lost Civilization is a rare remake in which the genre of the original game is changed. Where Nibiru was an adventure game, Lost Civilization has turned it into a hidden item game. Speaking of updated art in remakes, Lost Civilization hits all the marks there. Here are a couple of comparison shots between Nibiru and Lost Civilization. The game keeps the locations and updates the graphics to bring them into a more modern style. 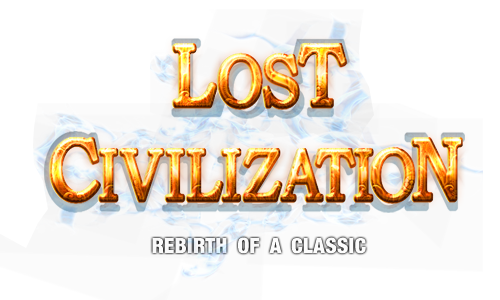 Stay tuned for next week’s post which will cover some of the unique gameplay elements in Lost Civilization.